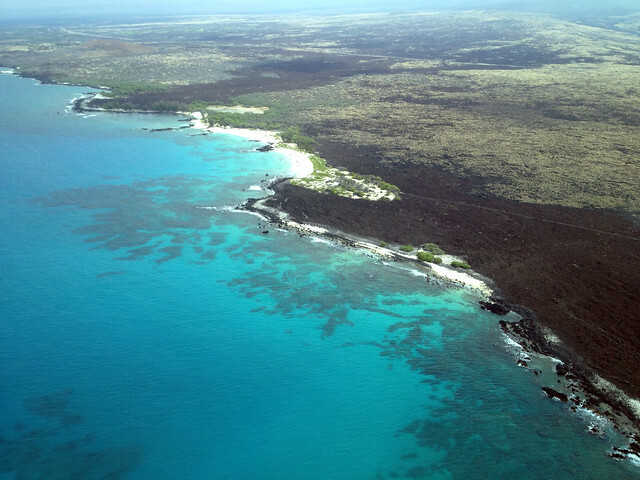 My annual trip to Kona, Hawaii for the Ironman World Championship has come and gone. It’s becoming as regular in my life as Christmas, and, after four years, starting to feel like a family reunion. This must be how members of triathlon’s “old guard” feel when they return to the lava fields and village drive stretching out from the ancient Banyan Tree. I didn’t take pictures of acai bowls or sunsets or swimming in the aquarium, though I did enjoy all of these things. I soaked up the week, worked a lot, and trained a little. I’m happy to be home. Riding with Marni, one of my faithful writers, early in the week. The culmination of the biggest week of my year, career-wise, always leaves me in a lull. I’m partly relieved, and partly reflective. 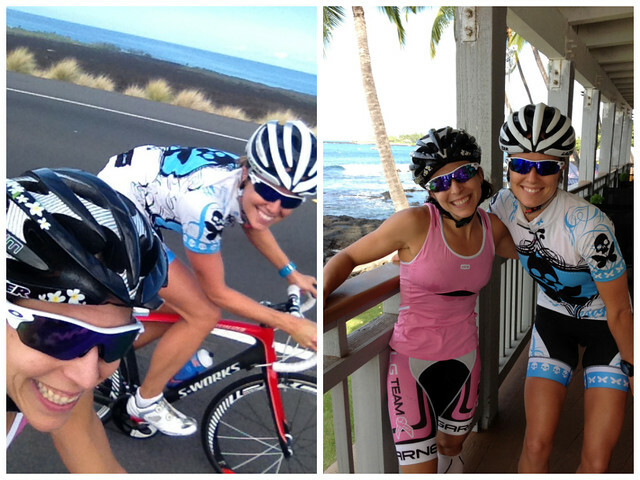 So here are some “Kona takeaways” from my fourth time visiting the spiritual home of triathlon. Enjoy. -Spend long enough in any “industry” and it will start to feel like an extended family. -Always make time to go off the beaten path. 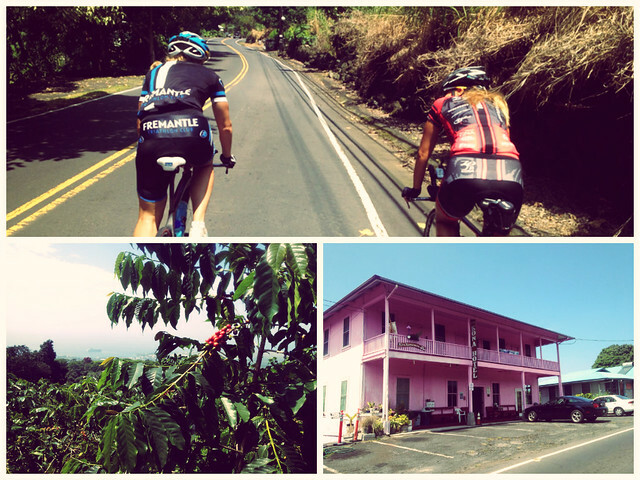 Backroads, coffee farms, and old Hawaii with Beth and Kate = highlight of the week. -Sometimes the most unexpected people end up being the ones you feel most comfortable with. -Never leave home for a week without an Aeropress and electric kettle. -Never pass up a place that serves kombucha on tap. 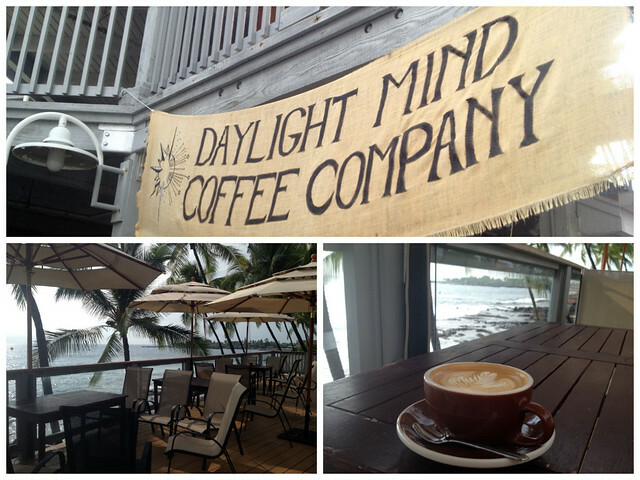 The newest (and best) coffee place in town. -You can make Coach’s Oats in a hotel coffee pot. -Conversation is the best antidote to tension. -8-seater planes aren’t nearly as scary as they seem. -Accept your current level of fitness, but train to break through it. -Do something you love every day. Great post Jen; your few words spoke volumes. Good luck at Austin next week! Congrats on your sub 5. I have been “tri-ing” since 1982 and have yet to make it to Kona-altho I have a chance in 1986 when I found out I was pregnant….anywho. I like to write. Who do you work for? Keep up the tri lifestyle. Just completed my 116th one…70.3 in Tempe last weekend. Take care!